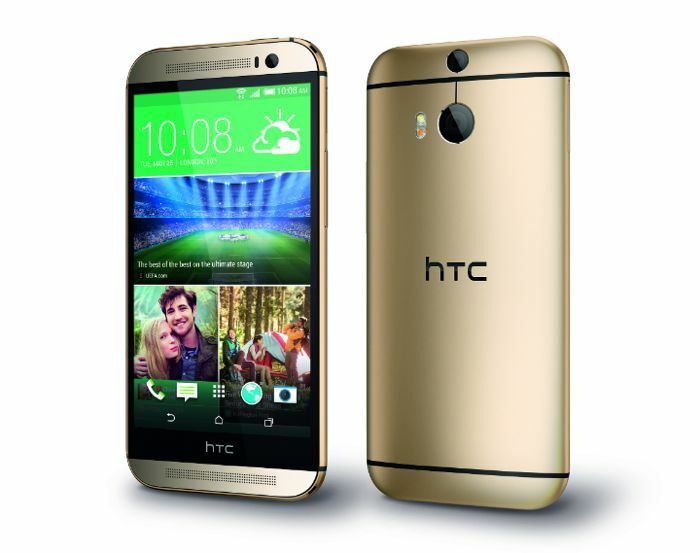 After numerous delays, Rogers has finally released the HTC One M8 in Amber Gold, which will be exclusively available from the carrier in Canada. Glacial Silver and Gunmetal Grey are already available on the the carrier since April — right after the handset was announced by the Taiwanese manufacturer. The handset is available for C$179.99 tied to a two-year contract with Rogers. For users who don’t want to sign up for a two year commitment, they can pay $699 to get the device outright. Spec-wise, there’s no different in the Amber gold and other color options. You get a 5-inch display sporting a resolution of 1920 x 1080 pixels, along with a quad-core Snapdragon 801 chipset. HTC One M8 also features 2GB of RAM and 16/32GB internal storage with a MicroSD card slot for expansion. There’s a Duo camera on the back with a depth sensor for improved photography. The camera has seen improvements compared to its previous iteration, and features uFocus, giving users the ability to focus on one element in a picture. There’s a 2,600 mAh battery to make sure there’s enough juice for the handset, and comes with extreme power saving mode as well. On the software side, it runs Android 4.4.2 KitKat with Sense 6.0 UI. So, how many of you were waiting for the Amber Gold version of the HTC One M8?